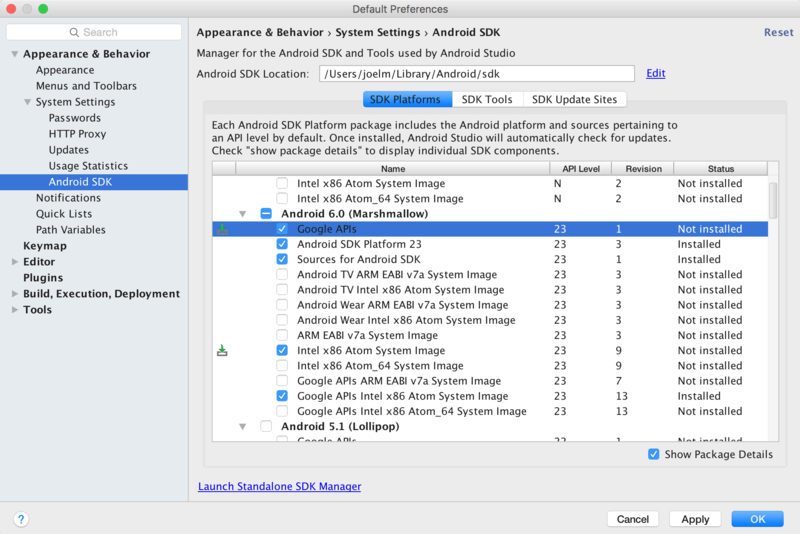 In the SDK Platforms window, choose Show Package Details and under Android 6.0 (Marshmallow), make sure that Google APIs, Intel x86 Atom System Image, Intel x86 Atom_64 System Image, and Google APIs Intel x86 Atom_64 System Image are checked. 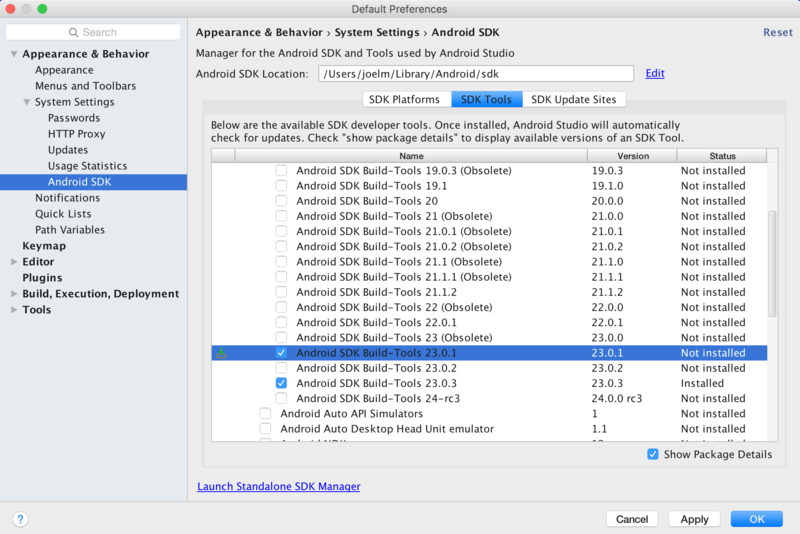 In the SDK Tools window, choose Show Package Details and under Android SDK Build Tools, make sure that Android SDK Build-Tools 23.0.1 is selected. 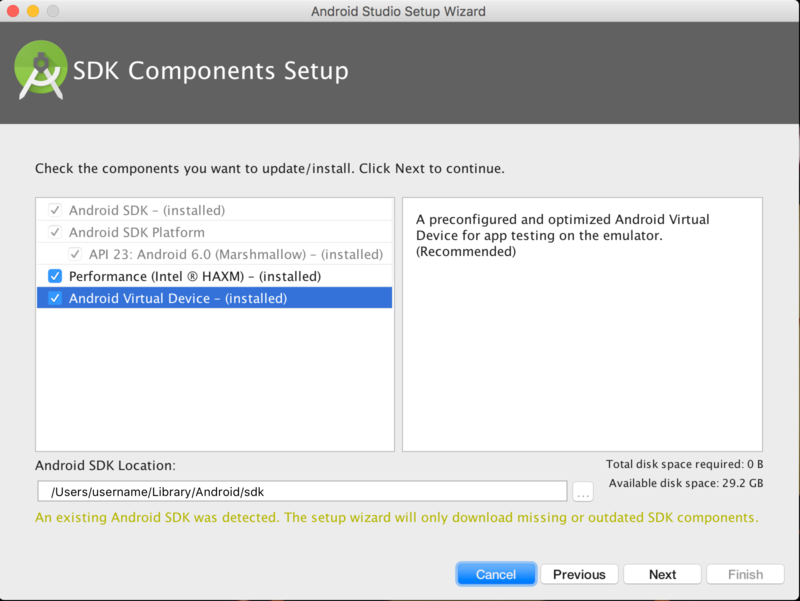 You will need Xcode for iOS and Android Studio for android, node.js, the React Native command line tools, and Watchman. We recommend installing node and watchman via Homebrew. Watchman is a tool by Facebook for watching changes in the filesystem. It is highly recommended you install it for better performance. It is optional. sudo npm install -g react-native-cli. For iOS the easiest way to install Xcode is via the Mac App Store. 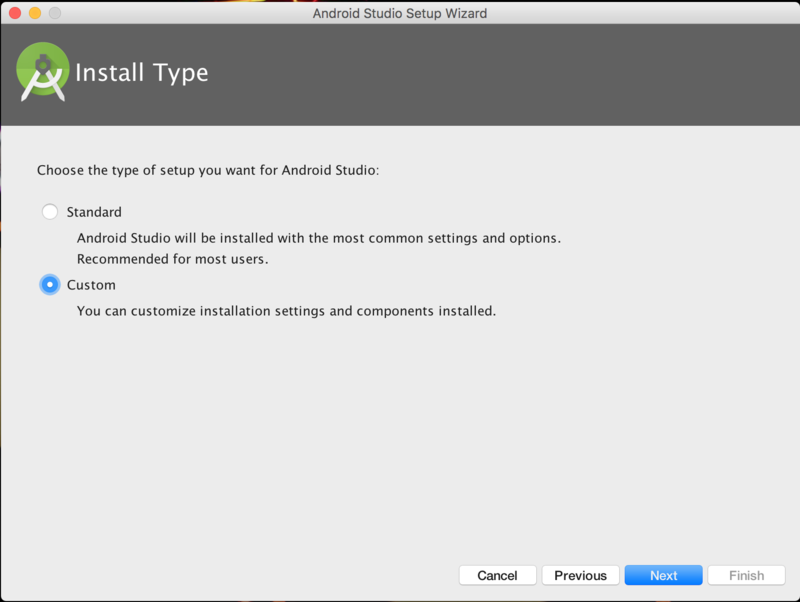 And for android download and install Android Studio. 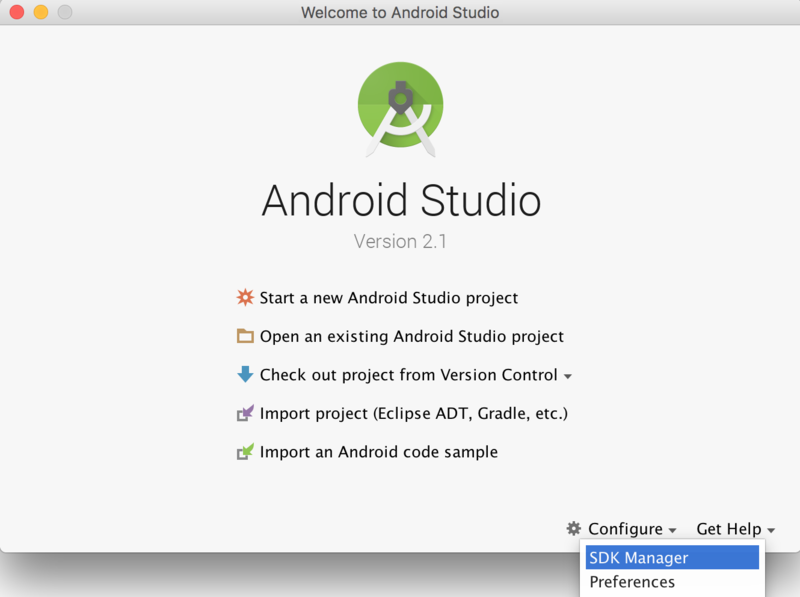 If you plan to make changes in Java code, we recommend Gradle Daemon which speeds up the build. Use the React Native command line tools to generate a new React Native project called "AwesomeProject", then run react-native run-ios inside the newly created folder. You should see your new app running in the iOS Simulator shortly. react-native run-ios is just one way to run your app - you can also run it directly from within Xcode or Nuclide. Open index.ios.js or index.android.js in your text editor of choice and edit some lines. Hit Command⌘ + R in your iOS Simulator to reload the app and see your change! That's it!